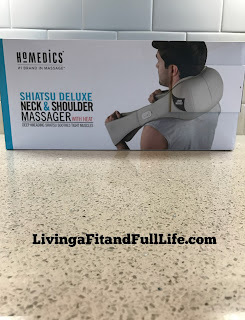 The HoMedics® Quad Action Shiatsu Kneading Neck & Shoulder Massager with Heat delivers a deep kneading shiatsu and vibration massage to loosen tight muscles. The integrated control puts you in control of your massage experience. Choose between a deep kneading shiatsu massage, soothing vibration massage or a combination of both. The three speed settings allow you to select the intensity of the massage experience Add heat and experience a deeper, more relaxing neck and shoulder massage. This 3-pack features signature blends that are designed to help you focus and unwind. Pay Attention enhances concentration; Be Centered is a grounding blend for meditation; and Let Go inspires peace and relaxation. All of these therapeutic grade essential oils can be used on a daily basis to help you be more present in your life. This 3-pack is a great way to introduce yourself to Ellia’s signature blends, and it also makes a thoughtful gift. 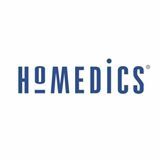 HoMedics is definitely one of my favorite brands! I have loved their products way before blogging and have to say they're my go to brand when I looking for gifts for others. Whether your looking for a birthday, Christmas, housewarming or any other gift Homedics has something for just about everyone. Homedics' Quad Action Shiatsu Kneading Neck & Shoulder Massager with Heat is amazing! As someone who suffers from neck and shoulder pain often this has been a life saver. When I sleep at night my right shoulder tenses up almost to the point that it touches my head, and I'd actually sleep like that. Since receiving the Quad Action Shiatsu Kneading Neck & Shoulder Massager with Heat I've noticed my shoulder is way less tense at night and even my back has begun to feel better during the day. I think tensing up at night really threw everything out of alignment and was causing me a lot of pain. The heat and quad action Shiatsu kneading feels amazing. I've also begun using this when I have a headache and it seems to help my headache go away without the use of ibuprofen. 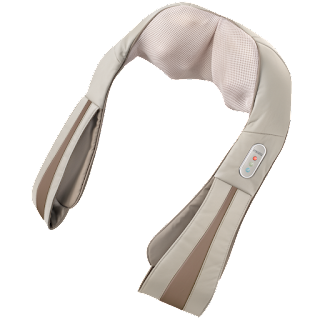 I'm totally in love with Homedics' Quad Action Shiatsu Kneading Neck & Shoulder Massager with Heat and highly recommend it! 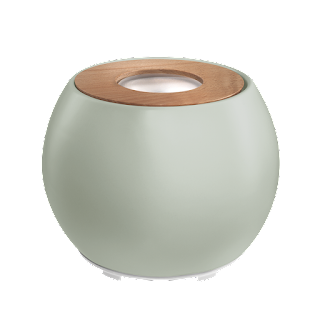 The Ellia Balance Ultrasonic Essential Oil Diffuser is also a terrific product! I love how beautiful is looks and that it goes with just about any decor. I also love that it comes with a convenient remote and delivers up to 7 hours of continuous runtime allowing me to run it at night without having to refill it. It also features a color-changing light, a library of relaxing and uplifting sounds, and an Essential Oil Starter Kit with three samples. 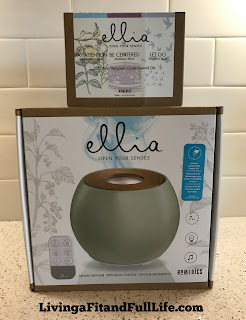 The Ellia Balance Ultrasonic Essential Oil Diffuser is a terrific diffuser! Ellia Essential Oil 3-Pack: “Calm and Concentration” Signature Blends are the perfect way to relax! I love how they smell and how well they distribute when placed in my diffuser. The Pay Attention oil enhances concentration and is great for days when I have to work but don't get enough sleep. It definitely helps me concentrate better throughout the day! Be Centered is a grounding blend for meditation and is the perfect way to spend a few minutes when you need to take a few minutes to yourself. Let Go inspires peace and relaxation and is my go to oil to use before bed. I love how well it helps me fall asleep and how well rested I feel each morning after using it in my diffuser all night. The Ellia Essential Oil 3-Pack: “Calm and Concentration” Signature Blends are some of my favorite oils and I highly recommend them!